How to convert and transfer Blu-ray movies to Surface Go for playing? The Microsoft Surface Go has a smaller 10-inch display, making it feel a bit like an iPad. The Pro has a 12.3-inch display, but the Go has a 10-inch screen with a 3:2 aspect ratio and 1,800 x 1,200 resolution (that's 217 pixels per inch). To my eyes, the panel was as sharp and crisp as the excellent displays on other Surface products. A USB-C port provides the device's only USB connection, which is nice, as the Surface Pro doesn't have one. It is a great way to watch movies or TV episodes on the go with the new Surface Go. However, whether tried by Microsoft Surface Go, it's failed to play Blu-ray movies directly. The reason is that Surface Go doesn't have a built-in Blu-ray-ROM or Blu-ray player. How to solve this problem? You can follow below content to get answer. Most of us have a large Blu-ray collection, and lots of great films still to watch Blu-ray discs. But wouldn't it be great if you could watch a Blu-ray on Surface Go tablet? Not that we'd like Microsoft to make a Surface Go with a slot for a Blu-ray drive: that'd be silly, but wouldn't it be great if you could convert all those old Blu-rays into movie files and watch them on a Surface Go? Microsoft does make a USB-C that you can plug into your PC. Fortunately there is a way to do exactly that: it's a program called Acrok Video Converter Ultimate (Windows | Mac) that you can download from here. With this best Blu-ray ripping software installed on a Window computer, you can convert a Blu-ray movie into digital video file, then transfer the converted movies to Surface Go via USB cable. 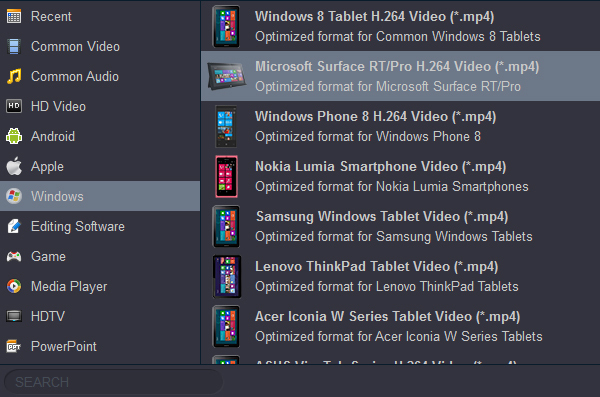 - Rip Blu-ray files to optimized preset for almost all of the devices, like tablet, smart tv, smartphone, etc. - Convert Blu-ray videos to MP4, M4V, MOV, AVI, WMV, FLV, MKV, 3GP and other 300 formats. 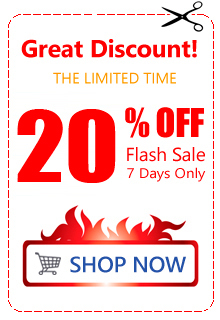 - Convert multiple Blu-ray files to other formats in batch without any quality loss. - 10X faster conversion speed than common converters with unique CUDA and AMD technology. 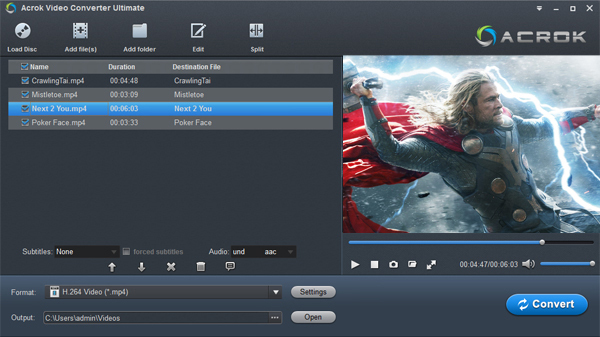 - Powerful editing tools help customize your videos, like trim, crop, add watermark, subtitles etc. - Supported OS: Windows 10/8/7/XP/Vista; Mac OS X 10.10-10.12 (Sierra). Here the detailed way to convert Blu-ray movies on Windows 10 is showed. The way to rip Blu-ray files for Surface Go on Mac is the same. Just make sure you've downloaded the right version. Open the top Blu-ray converting program. Click “Load Disc” and select a Blu-ray drive letter. You can load Blu-ray from multiple virtual drives. And also you can directly add the whole Blu-ray folder and ISO file. Go to the Format library on the top left corner of the main interface, and click Windows > Microsoft Surface RT/Pro H.264 Video (*.mp4) as the profile. The profile is an optimized MP4 format, and if you want to convert the Blu-ray to other formats, you can click Format > Common Video to choose one you want. Click the “Output” icon to select an output directory to save the output video and then click the “Convert” button to start the process of converting the Blu-ray to Full HD MP4. When you complete the process and rip Blu-ray to Surface Go, you can connect tablet to your PC via USB cable then copy the converted movies to Surface Go. From here, you are ready to enjoy your high quality movies on Surface Go. There you have it, a quick and easy way to get your Blu-ray movies on your tablet to watch conveniently on a gorgeous screen! I'm ecstatic! This worked the first time I tried it. I thought I'd give it a go so we could watch Blu-ray movies from mySurface Go Pro while we're anchored up each nite. I never thought this old dog could figure it out but a huge tip of the cap to Acrok and this program.